Posted September 19, 2013 by Jonathan Mimo & filed under City Hub. Independent MP for Sydney Alex Greenwich is pushing ahead with the bill he introduced to State Parliament aiming to end exemptions in the NSW Anti-Discrimination Act enabling private schools to expel students for being gay. The Anti-Discrimination Amendment Bill aims to bring independent schools in line with public schools and educational institutions, who are forbidden from discriminating or expelling students on the basis of their marital or domestic status, disability, sexuality or LGBTI status. 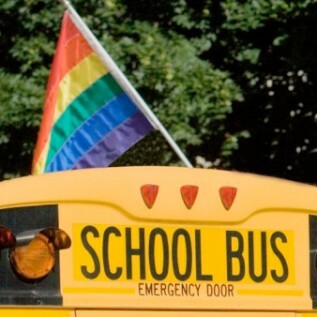 “The bill will go a long way to say to schools you cannot treat people unfairly because they are LGBTI and will give students access to the Anti-Discrimination Board to have their grievances heard,” said Mr Greenwich. Dr Darryl Gauld, Principal of Macquarie Grammar in Sydney’s CBD, welcomed the move and believes the exemptions are absurd. Both the Coalition and Labor will debate details of the bill before taking a position over coming weeks. They will look to ensure that religious schools have the right to religious freedom, but simultaneously do not act discriminatory. Karl Hand, Co-convenor of Community Action Against Homophobia (CAAH), welcomed the move but believes it does not go far enough in ending discrimination. “I don’t think it goes far enough in terms of challenging this kind of religious discrimination and all of the exemptions that are involved in this law,” said Mr Hand. Many private schools and religious organisations are able to refuse to hire or fire teachers based on their sexuality. Reports of students being expelled based on their sexuality are rare, but there are increasing complaints about homophobic bullying going ignored by staff. Dr Gauld said these exemptions contribute to ignorance and are at odds with the values of a quality education. He raised concerns about the effect bullying based on sexuality can have on a student’s mental health. Meanwhile, researchers from Curtin University in Perth are conducting Australia’s first study into the mental health of transsexual and transgender people. They are looking for participants to complete an online survey at www.transoz.org. A forthcoming feature film entitled ‘High Risk’ also aims to highlight the high rates of depression in the gay community.